I’ve been slacking on getting some new steeshes up on the site lately. Now that Joe Flacco is out of the playoffs and people aren’t going to be googling his mustache anymore, I’ll need to actually try to get some site visitors. Add to this, my coworker just read me the complete small print of a Panda Express coupon, and you can see why I might want to burn a little clock early in the work week. 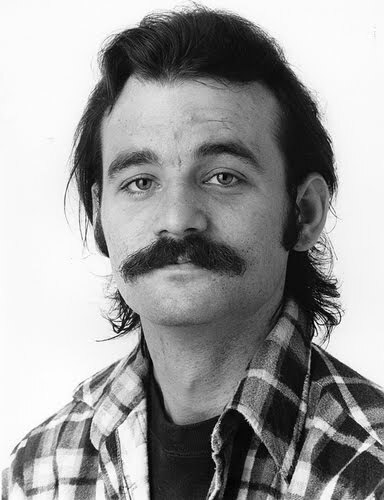 So… Bill Murray. I’m a little embarrassed it’s taken this long to get such a glorious picture of a great actor up on the page. Enjoy. This entry was posted in Celebrity Steesh, Movie Steesh on January 23, 2012 by Los Bulls. I’m definitely admiring the Bill Murray steesh. That’s quite an impressive mustache. But I’m curious to know what the fine print on a Panda Express coupon says.